Let’s FACE it! Chinese Face Reading is an ancient study of patterns, originally used by the Taoist monks and scholars who were respected men in their role of healers, priests and compassionate advisors. Just as the foot is a microcosm of our body and health for reflexology, so too the face is a map of our physical and emotional health. Features and marks on the face can represent our physical health, our emotional health or an age of life. This ancient science and art brings wisdom to understanding our authentic nature and purpose. Truth be known I have been co-erced into writing something about Donald Trump’s Face given the Inauguration tomorrow. I absolutely LOVE the wisdom of Chinese Face Reading and I use it all the time, authentic face reading looks at our gifts and our challenges provides a very balanced view of who we are. A face is read with neutral expression – again not that easy to find Donald with a neutral expression. So I have struggled a bit!! Plus I don’t feel that my view is truly balanced… political opinions aside I will do my best! 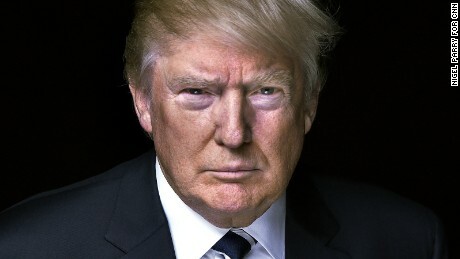 The first thing I notice about Donald’s face is the puffy area under his eyes, this is called ‘Unshed Tears’. It could relate to any number of things but his is very puffy and actually narrowing his view on the world whether he knows it or not. Essentially this shows that his emotions are not allowed to flow freely and are suppressed. This is a man who is leading with his head and not his heart. A President who is leading more like a General than an Emperor. The bridge of his nose is that of someone with an iron will. It is someone with incredible will power and determination. This is a person who can readily turn their thoughts into actions. The nose is known as the ‘money box’ and refers to our financial assets and how we choose to spend them as well as our physical energy and how we choose to spend that. There is plenty of energy and ‘assets’ here but he is quite particular about how he spends his energy. A shrewd businessman, with a fair degree of scepticism. He is holding a lot of tension around his eyes and brow area. His is a very active thinker, full of thoughts and ideas. The narrowing of his eyes again shows his preference for the more logical or thought based approach, he would be conservative about revealing his heart to many, if any, people. The shadow effect of this area for Donald is tendency to anger, frustration and judgement. He would constantly be evaluating everything and everyone and seeking proof before accepting anything. This also shows ambition and focus and drive….but maybe in excess and not in a balanced way. His mouth is on the small side, which shows that he is more introverted and by that I mean again he doesn’t show his true self, doesn’t share his emotions. It also talks of him being reserved in relationships, not easily sharing his feelings. Obviously on the public stage he is very capable of being extroverted. His lips again show someone who can manifest what they want, he gets what he goes after. In many many photos his mouth has a downward turn which shows some disappointment with life and being prepared for the worst, or mistrusting the world around him. His fleshy jowls are a symbol of authority, someone who commands respect. His dimpled chin shows someone who has over used his will power to get the job done. The colour of his skin is quite disturbing to me, at times it is quite white, at other times yellow and also at times reddened. None of these are great options and could relate to his physical or emotional health as each part of the face also relates to organs in the body. So Donald is a man who has steeled himself to face the world and all the difficulties it delivers, he doesn’t expect it to be easy and is ready for adversity. As we know our thoughts create our reality. His subconscious mind loves him to bits and just wants to show him how right he is. So he manifests that conflict in his life and more than likely will continue to do so. I trust that we live in a purposeful universe and things happen for a reason but I am really going to miss Michelle and Barack.